Lawrence's apprenticeship with British Aerospace started in 1974, and after 4 years he progressed to Autokraft in 1978 where he developed his skills and ability while incorporating his love of AC cars. 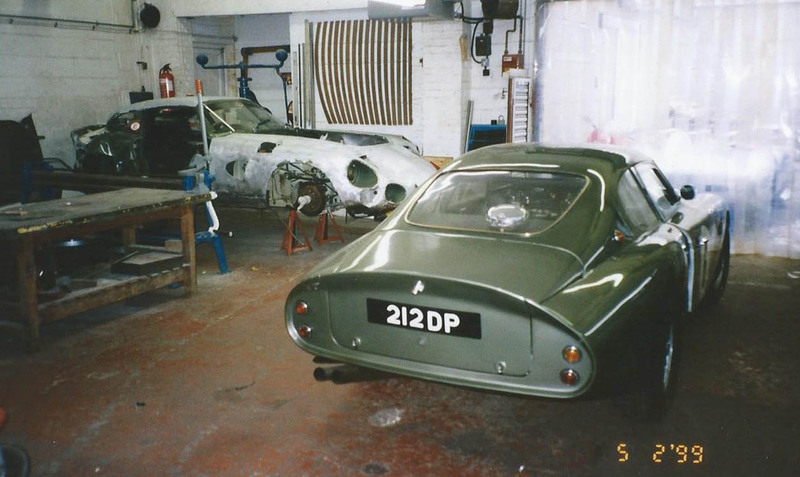 Towards the end of his 12 year employment at Autokraft, fuelled by passion and a hunger to expand his skill range, Lawrence decided he wanted to open his own workshop, specialising in the repair and restoration of historic road and race cars. 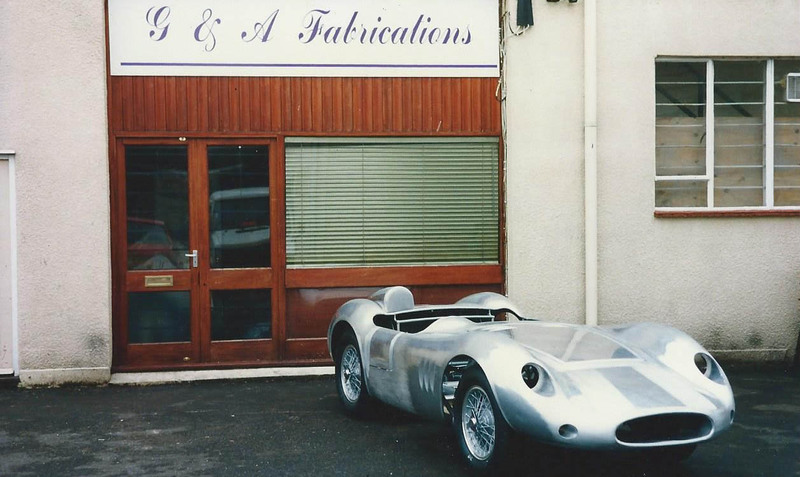 In 1990, G&A Fabrications opened their roller shutter to their first job, aptly, a 1963 AC Cobra race car. 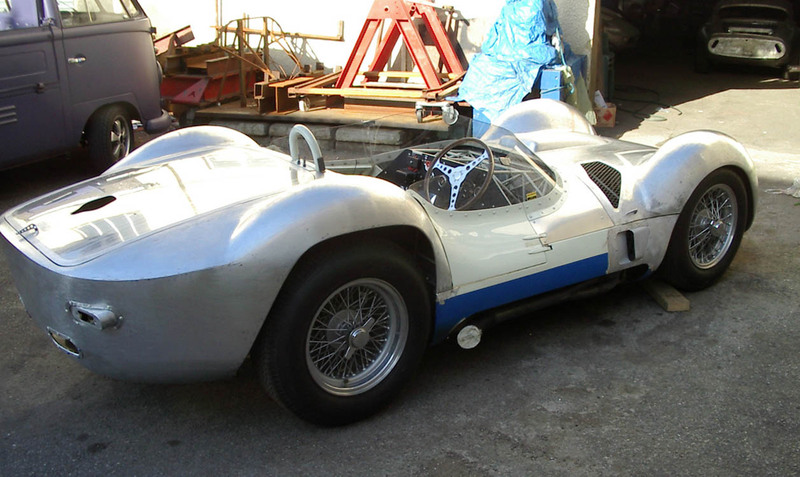 Since opening their doors, G&A Fabrications have undertaken work on some of the rarest and most beautiful cars ever to have graced the road or track and the projects have been as interesting as they are varied. From overnight rebuilds in time to make the starting grid the morning after to extensive, delicate and sympathetic restorations on some of the world's most famous and valuable cars. On the timeline below are a few examples of work that stand out to us as being exceptional and we are proud to have been involved in the heritage of such vehicles. In September 1990, along with the help of his wife Wendy, Lawrence founded G&A Fabrications out of a small workshop in West Byfleet, Surrey. The work he produced, some of it solely on his own, is a testament to his skill and reflects the reputation he has gained. It wasn't long before expansion called and he needed to move to bigger premises to accommodate the demand of work. On 1st February 1994, G&A Fabrications upped and moved to its new workshop and current home in Walton-On-Thames. High standards and quality of the work produced has always the workshop full, with our regular clients as well as one off projects arriving every now and then. The workshop has seen many race and road cars through its doors over the years, coming and going in varying states and some even return time and time again. 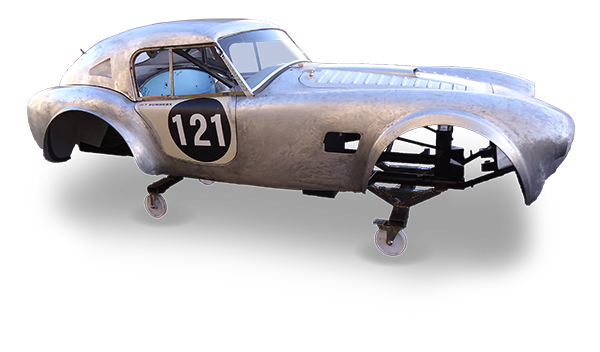 Aston Martin produced prototype DP 212 for the 1962 24 Hours of Le Mans race hoping to combat high speed stability problems with the design and features of the body. It tested for the Le Mans in 1963 with a new Kamm tail, which later features on DB6s, but didn't compete in the race. 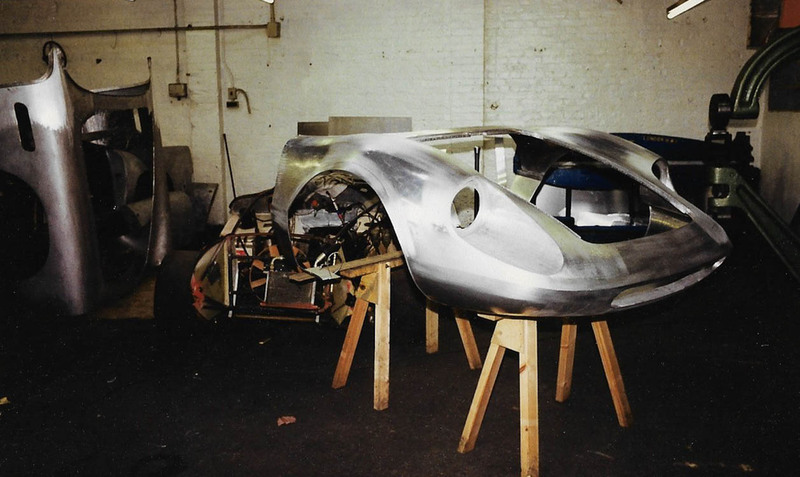 The car continued to have a racing career all the way into the 90's racing, and after a crash at Goodwood in 1999 Aston Martin specialist RS Williams asked G&A Fabrications to undertake the restoration of the body shell. DP212 was replaced by two cars: 214 and 215 which both had extensive racing careers and still make appearances at historic meetings now. 215 also came through our workshop, at the same time as 212, for some bodywork repairs and restoration. 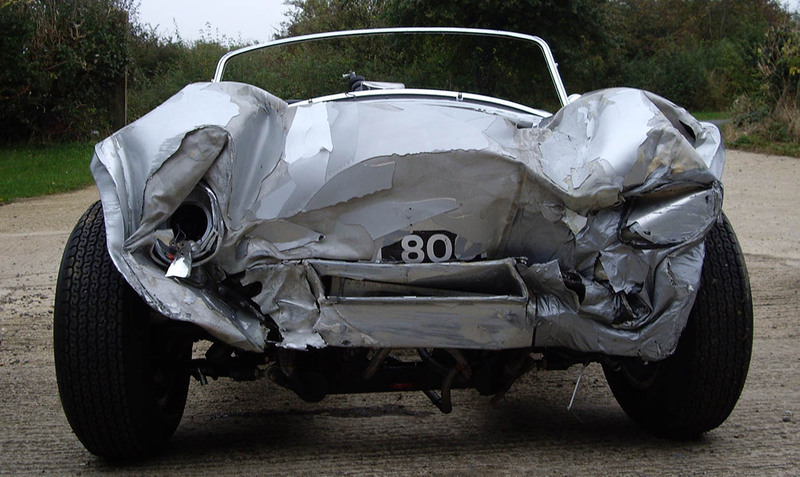 This car suffered a crash during the Goodwood Festival of Speed hillclimb in 2004. There was extensive damage to both the front and back of the car. This car came to us in a bad state, so we put it on the jig, pulled the majority of the damage out then carried out repairs to both the nose and tail. We also fabricated a new boot skin as the original one was irreparable. This car had a heavy front impact at a racing event, so the car was mounted onto the jig then pulled into a rough form to begin with. 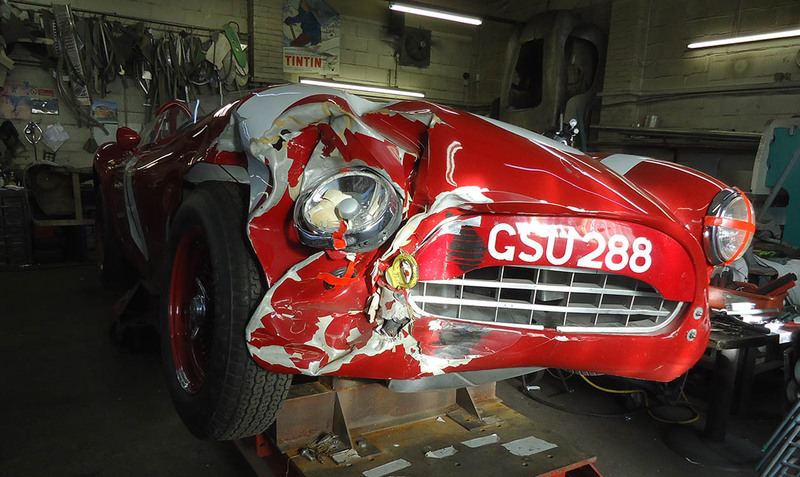 The front skin was removed to facilitate chassis repairs which were carried out to original factory drawing specifications. A new nose was fabricated in house, using as much of the original metal work as possible to allow the body damage to be rebuilt back to pre-race condition as closely as can be. This AC Ace was racing in the 2011 Le Mans Classic when it had a front end incident, so when it got to us we put it on the jig to pull out the most of the damage as this ensures that chassis points are kept at the correct dimensions. 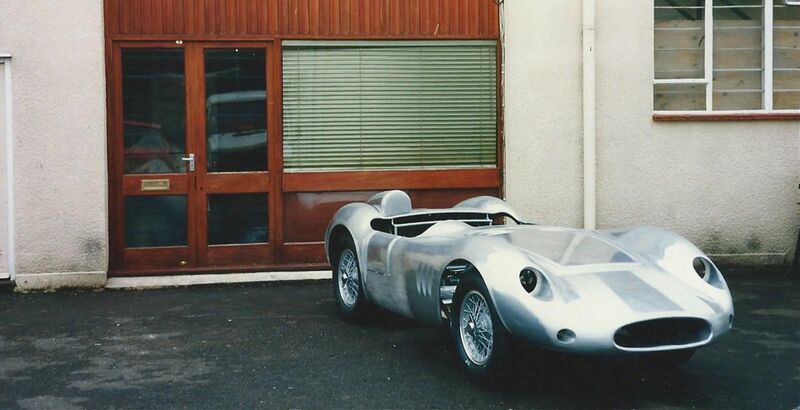 The bodywork we carried out included repairing the nose, then dressing it out and reshaping to it's original specification and we also fabricated new radiator ducting flatwork panels for the inner mouth and engine bay area. This Ferrari was unfortunately rolled which caused damage to nearly every exterior body panel, but also damaged the chassis. This meant that we had to remove the body from the car and in this case have the chassis sent to Ferrari for repairs. 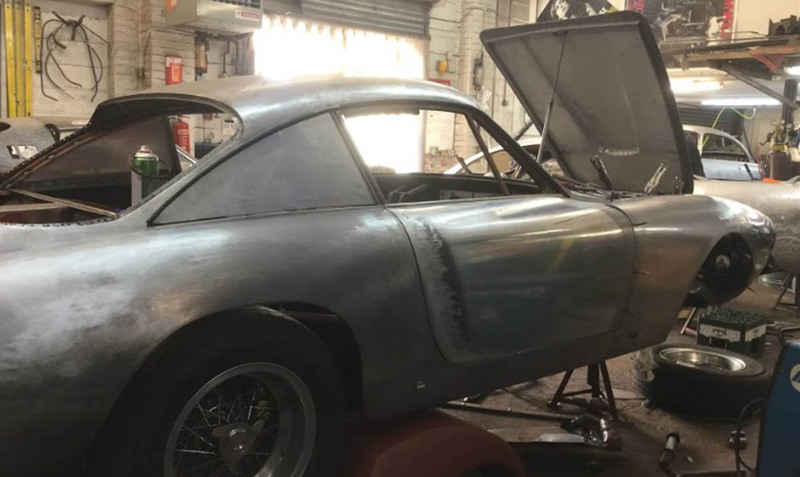 When the car came back to us we began the restoration process to rebuild the car from the bare chassis up, maintaining as much original metalwork as possible.